Let's talk skin care today. 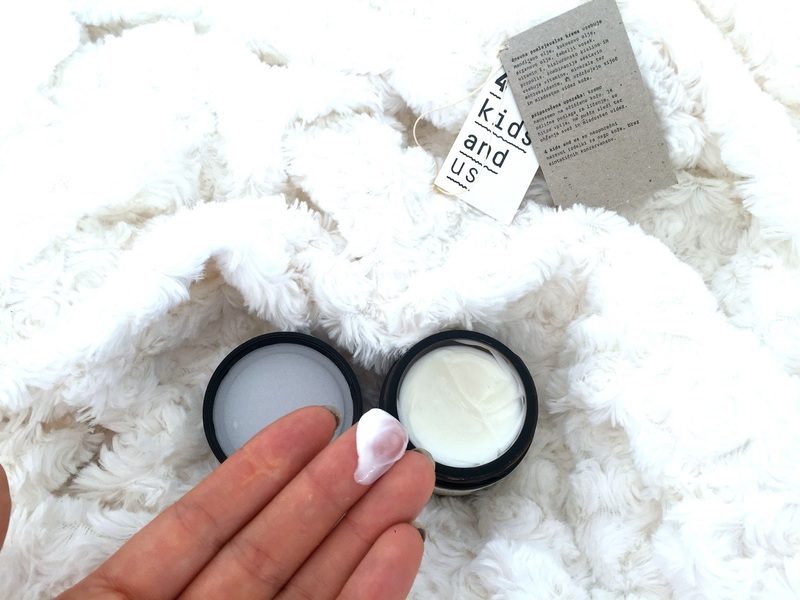 I want to show you my holy grail skin care product I have been using lately by 4KIDSANDUS. 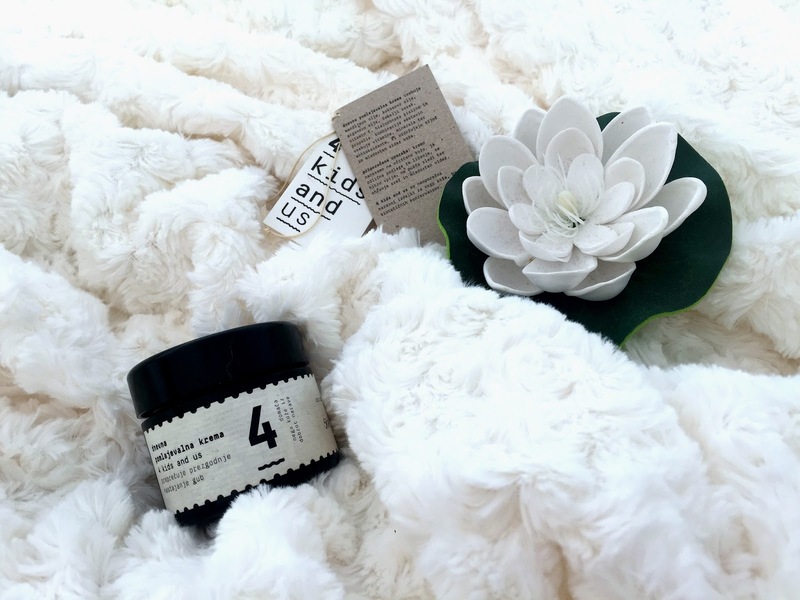 I've always heard so many nice things about them and the products that it was about time for me as a blogger to do a little research and dive right into the...face cream (let's not visualize that). I want to present the very first product I had a chance to test out and so far I feel they've really outdone themselves. The product I am talking about is their Living Rejuvenating Cream which prevents early signs of aging and maintains elasticity and hydration containing argan oil, coconut butter, unrefined, cold-pressed almond oil, hyaluronic acid and antioxidants (amongst some other incredible ingredients). It is soft and non-greasy, it absorbs quickly and is also suitable as a basis for make-up. You can check out the product here. It can seem a little pricey, but you really have to use the tiniest amount of product, so it will last for a very long time. Plus, the ingredients are just so worth it. 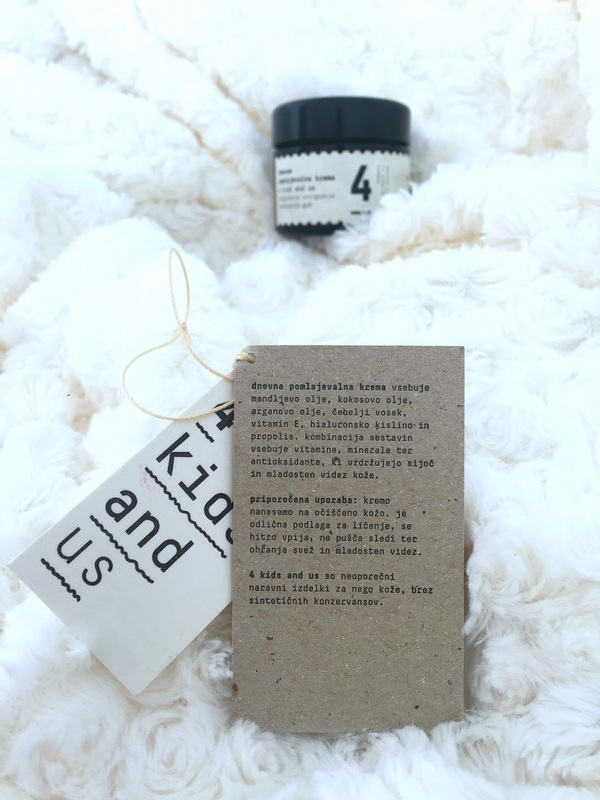 But what I like about 4KIDSANDUS the most, is the story behind the company: a married couple simply wanted to offer their four children the best products possible since they all had the most sensitive skin. The results had been great and they realized the products work well for children and adults. And not only do they work 4 kids and us, they are also environmentally friendly. 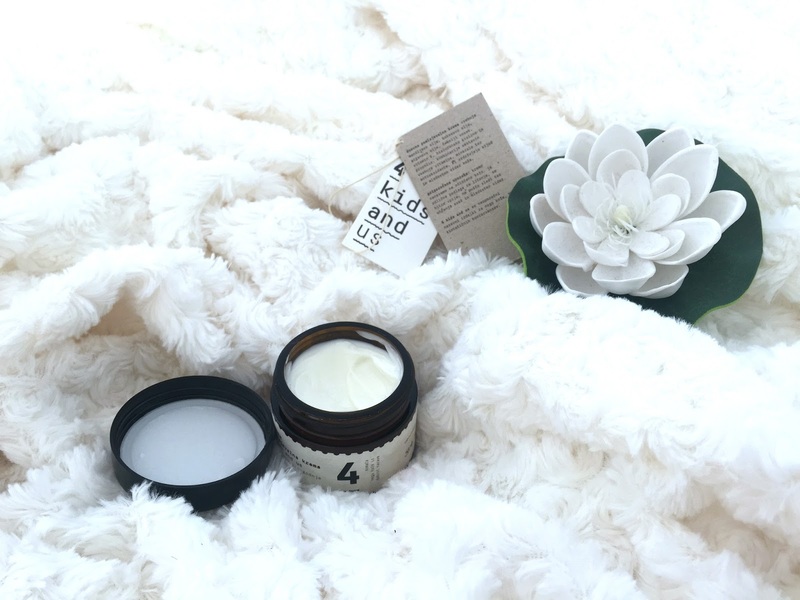 I am definitely staying loyal to this brand for two reasons: I love the whole philosophy around the brand and the products seem to be really amazing. 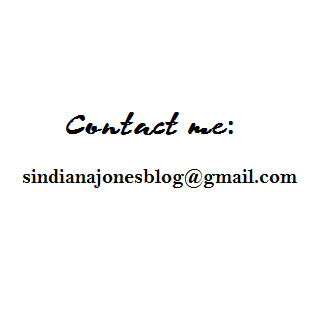 The one I tested out turned out addictive and the reviews of some other Slovenian bloggers are also promising. I can't wait to try out some other products! Do you know the brand? Would you recommend any other must-have product of theirs? Leave me a comment below. Hey, I ordered their black soap, which is amazing for any problem you may have with the skin, as a bonus I got the daily cream. I think the products are high quality and I really love the whole package from the online shop to the delivered box. :) Would recommend them too. Really?! :) Sounds amazing! A friend of mine also recommended the black soap so now I definitely have to try that out🙏🏻😊. Although not always common, you may find beauty salon spas that offer cosmetic procedures. Each year, more beauty spas are making the decision to offer these types of procedures.